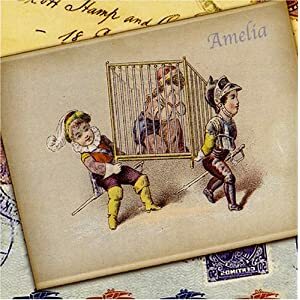 I've been meaning for quite a while to write a post lauding the praises of Amelia, a Canadian folksy-type group whose sound has been described as "subdued, jazz-influenced Countrypolitan." "You wouldn't think three former members of the Flatirons could make music this delicious. While the Flatirons were a terrific old-school country band, they didn't exactly ooze sexiness. After hooking up with lead singer Teisha Helgerson, this once-twangy crew pasted together jazz, country and ethnic folk to create songs that are pretty enough for the mainstream but eclectic enough for tastemakers to savor. The new record, "Por Avion," finds the band polishing its beguiling sound, while its live show is one of the hottest around." (from the band's website). I've been enjoying their live album, "Por Avion." The live album is a little harder hitting with a slightly edgier interpretation of songs from their first two studio albums, and also includes 4 songs not on any of their albums (those 4 are the reason to add this live recording to your collection of the studio ones). Added by Dr. Mutex: Four tracks (various albums) for listening on Amelia's Myspace.